Following a 6-2 vote Tuesday by the city council, city employees of Conway, Arkansas can (for the time being) go to work with the assurance that they can’t be fired for their sexuality or gender identity. Conway mayor Tab Townsell threw his full support behind the decision to extend protections to the town’s LGBT population despite many of his more conservative constituents voicing concern for their religious liberties. Mark Ledbetter and Mary Smith, the two council members who opposed the new protections, expressed their belief that the public had not been given adequate time to fully appreciate the implications of heightened job security for Conway’s queer workforce. The law is set to go into effect 90 days after the state Legislature formally adjourns, which is currently set for May. After that, Conway's ordinance will no longer protect LGBT folks. One of the chief concerns raised by opponents of SB 202 was the chilling effect that sanctioning discrimination against queer workers might have on the local economy. Following Hutchinson’s decision representatives from Tyson Foods and Walmart both spoke out on behalf of their companies, expressing their disagreement with the law. "I’m proud to call Arkansas my home state—the place where my entire extended family has lived for years. I know these bills do not reflect the Arkansas values. They certainly do not reflect this state’s commitment to growing a 21st Century economy that attracts good paying jobs—and to guaranteeing a business climate that welcomes everyone who is willing to work hard and build a better future for themselves and for their community. These kinds of political attacks have been rejected by Republicans and Democrats all across this country. 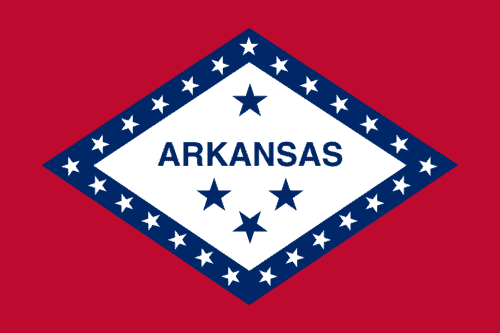 Let’s not let Arkansas be dragged backward by an unrepresentative minority."